Dispensers are incredibly useful for the workplace because they give workers convenient access to the products they need to work. Since we carry a wide variety of safety supplies dispensers, you should be able to find exactly what you need. Our horizontal plastic glove dispensers are quite popular, and for great durability, they're made with heavy-duty plastic. Many of our glove dispensers can be mounted on a wall or placed on a table, and they're designed to give workers easy access to gloves. We also carry vertical plastic glove dispensers, and since they're made from clear plastic, it's easy to see when they need to be refilled. 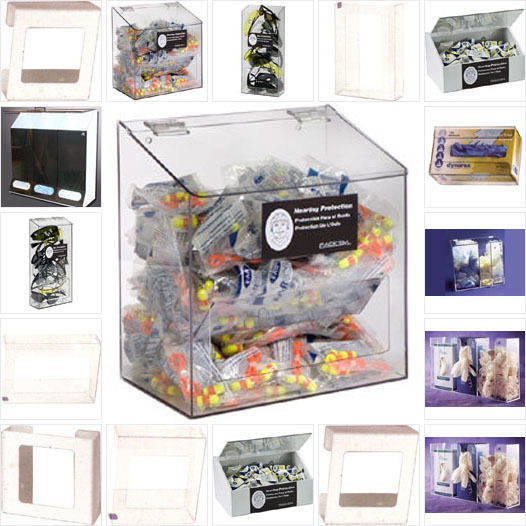 Like the horizontal dispensers, these products can be placed on a table or mounted to a wall. 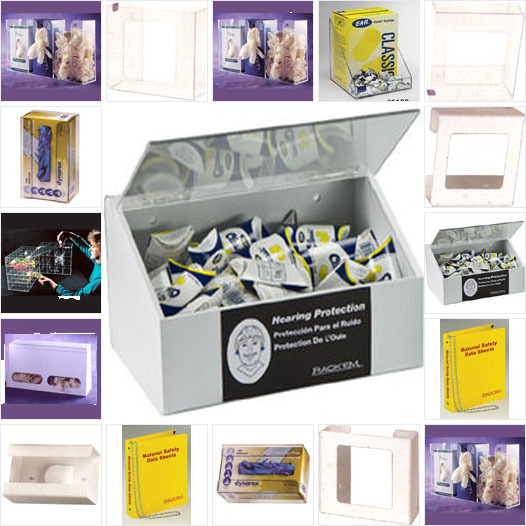 If you don't need a dispenser for gloves, we have dispensers for safety glasses, and to protect your glasses, they're made from heavy-duty plastic. We even carry dispensers for gloves, and the multi-compartment versions can hold several types of gloves.